** Justice for Erin is the 9th book in the Badge of Honor: Texas Heroes Series. Each book is a stand-alone, with no cliffhanger endings. Once again Susan takes on a tough issue, that of obesity. 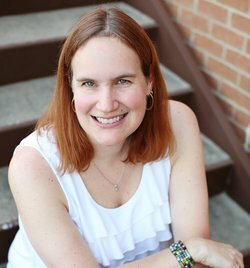 Erin has worked to overcome the issues that caused her weight and sought out solutions. I really love the dynamic between Erin and Conor. He thinks she’s gorgeous but also notices that she watches what she eats and appears to have a sort of routine when it comes to eating. As their love for the outdoors draws them together, Erin begins to fear her secret coming out. How can she refuse his invitation to his family holiday without hurting him. In the end she goes, but as he promised, when she became too uncomfortable they left. This is a favorite scene when Erin reaches out to him after he leaves her at home. “I can take them with me when I leave,” Conor reassured her. 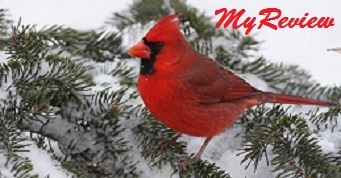 “Why the picture?” Erin asked quietly. Conor knew she was talking about the gift his parents had given her. He leaned forward and picked it up. It was a picture of him when he was about ten. He’d been fishing with his dad and was so proud of the first fish he’d caught that day. It was big, and he’d barely been able to hold it up. “Damn straight. I love what’s in here,” Conor said, moving one of his hands to her chest over her heart. Stoker, Susan. 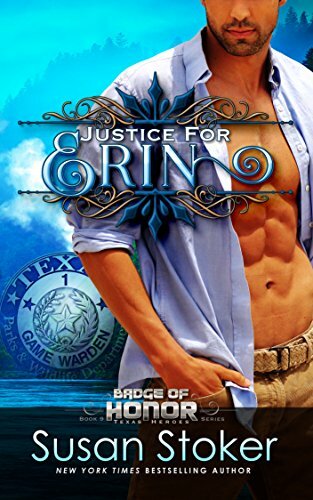 Justice for Erin (Badge of Honor: Texas Heroes Book 9) (Kindle Locations 1810-1836). Stoker Aces Production, LLC. Kindle Edition. Now you know things aren’t going to continue to go smoothly. The tension and fear when Erin goes missing will have you holding your breath and turning the pages faster. The courage, ingenuity, acceptance and love in this book are absolutely inspiring.